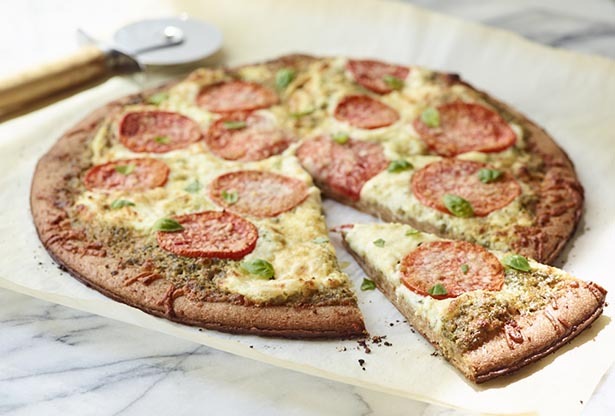 This easy veggie pizza is packed with protein from ricotta, mozzarella and Parmesan cheeses. Place pizza crust on a baking sheet. Spread pesto evenly over crust. Stir together ricotta cheese, mozzarella cheese, milk and garlic; spread over crust. Top with tomatoes, and sprinkle with Parmesan cheese. Bake 14 minutes or until cheese melts. Remove from oven, and top with fresh basil. Cut into 6 wedges.